Home :: Kiteboard :: Boards :: Airush VOX Kiteboard 140cm - Complete - SALE!! 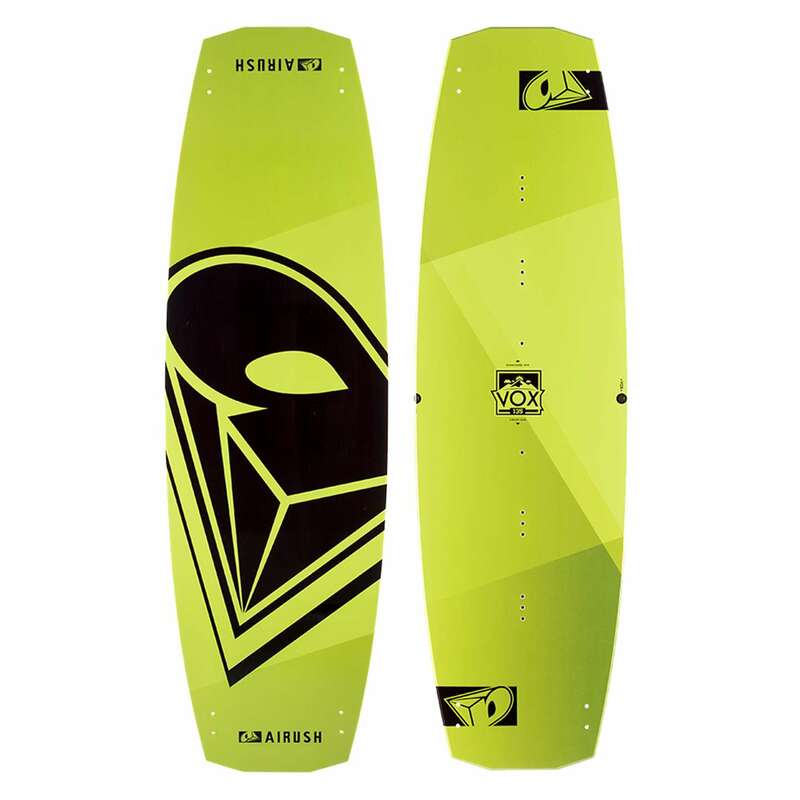 Airush VOX Kiteboard 140cm - Complete - SALE!! Upgraded with a new overall design, the VOX features a slew of performance enhancements while remaining soft and easy to manage. An ideal freeride board for all level of riders, the 2017 VOX utilizes a new outline and wider tips, which means better stability, upwind tracking, and low-end performance. Utilizing our trusted Paulownia wood core, this year’s VOX is lighter than ever, delivering the perfect combination of flex and durability.